It has been long that i have blogged about Adsense alternatives .This post will compare the two major name when it comes to adsense alternatives: Infolinks and Chitika. If you are a blogger or webmaster, you must have heard about them. I have been blogging since two plus years and i have used many adsense alternatives and if you have question in you mind about Infolinks and Chitika , this post will surely help you. 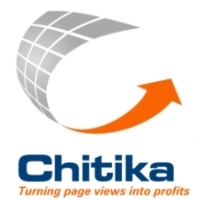 Chitika is one of the famous Adsense alternative that is serving ads since 2003. Here is the complete review of Chitika that was posted by me 2 years back. In earlier days Chitika worked fine but later on Chitika earnings dropped gradually. The CPC was even $0.01 for many clicks that is very low.The reason behind such low CPC is Non US visitors.Our blog is getting huge amount of visitors from Asia and CPC for Asia for chitika is very low. During the Whole course of using Chitika as adsense alternative, we eaned around $ 107 via it,half of which was the affiliate commission for referring Chitika to friends and others. 2. Most of the Traffic is Organic i.e via Google/Yahoo/Bing searches. Infolinks is another ad program known for text based ads from the very beginning, now they serve in-tags, in-clouds and many other formats.I am using infolinks since 3 years till present and it is a decent adsense alternatives. Compared to adsense, earnings are low but it can be used along with Google Adsense to boost the earnings. We have earlier posted about infolinks review and earnings.Infolinks minimum payout is $50 and the good thing is they offer number of options to receive payments like Wire transfer,eCheque etc. Conclusion: Use Infolinks or not? 1. You should use it even you have adsense. 2. Works for Non US based visitors as well. 1. Number of ways to receive Payments. 2. Various Ad styles and Formats.